Painted aluminum is used for production of mobile homes, siding, roofing, signs, appliances, houseware and automotive parts. 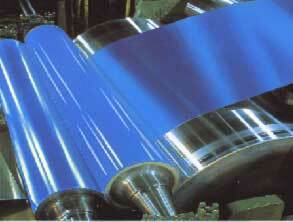 By utilizing domestic and foreign mill relationships which have been been developed and nurtured over three decades. 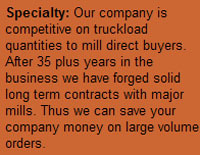 All Metal Sales is strongly positioned to match your painted aluminum requirements to the perfect mill source. Available Gauges: .020" to .125"